One of the things that I love about where we live is our proximity to the border. We are about 6 miles from the border. 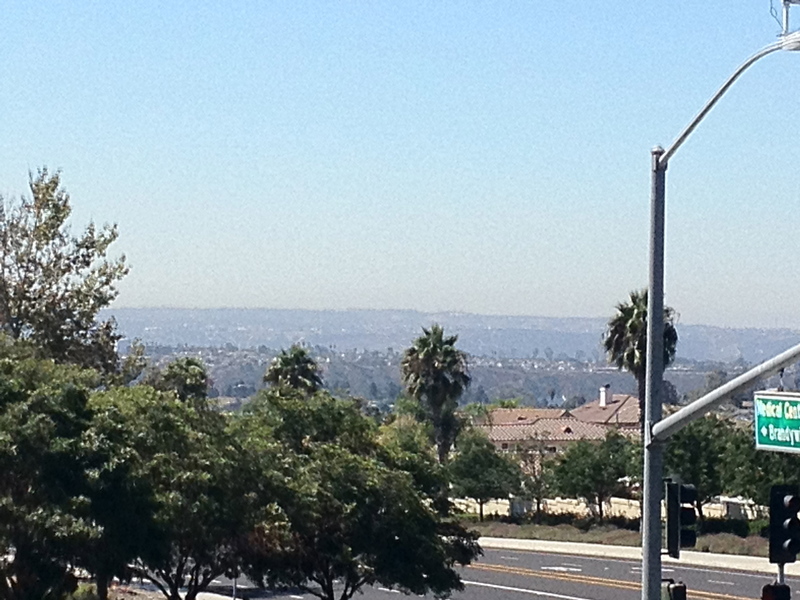 I can walk from my house to the local Starbucks, order a cup of coffee and look out at Tijuana from the patio. This view warms my heart as I love Mexico and the Mexican people. It also gives me a good vantage to pray for the area. We live in an area where there are many Latinos, mostly Mexican. I guess, that makes sense, because of its proximity to the Mexican border. There are many needs here, in both San Diego and Tijuana. We know of some, but we are still learning. As we are getting our house set up, one of the next projects we are working on is getting our Sentri pass. This allows us to go in the quicker line when going back and forth across the border. The pass saves literally hours each time we cross. Pray that with all the other things we have going on that I will be disciplined to get the forms filled out for our Sentri pass, and that it gets processed quickly. Thrilled to be on this Journey of Faith with you! Our son lives in San Diego, next to Chula Vista, and can look out his bedroom window to see TJ. So, God bless you. It’s a great place to be. Thanks! Thanks, Dan. Hope you and your family are doing well. Nothing like a nice early morning devotional time at Starbucks. Been there. Yes – it’s a good way to start the day! Praying with you as you get your pass and learn of the needs! God bless you! Thanks – I always appreciate prayer. May the Lord bless you as well! Dave, praying for you, and that all goes smoothly for you in receiving your pass. Thanks so much for praying. At this point I have to remember to take one day at a time and to trust the Lord for each day! Thanks for keeping us updated. We’re praying for you guys. LOVE that view of yours (hard not to be jealous actually)!! we look forward to your visit soon. We’d love to see you out here. God’s Continued Work in Rosarito Mexico!